After surviving a near fatal bovine attack, a disfigured cafeteria chef (Wade Wilson) struggles to fulfill his dream of becoming Mayberry's hottest bartender while also learning to cope with his lost sense of taste. Searching to regain his spice for life, as well as a flux capacitor, Wade must battle ninjas, the yakuza, and a pack of sexually aggressive canines, as he journeys around the world to discover the importance of family, friendship, and flavor - finding a new taste for adventure and earning the coveted coffee mug title of World's Best Lover. 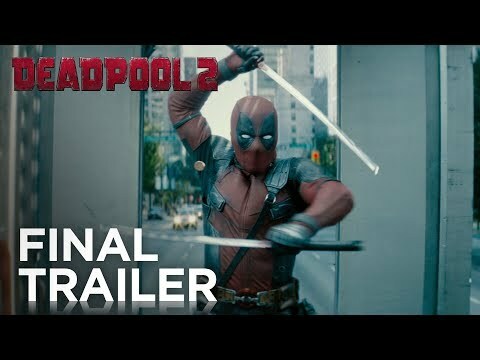 Deadpool 2 was released on Blu-ray, DVD and VOD 244d ago in the US. Notify me when Deadpool 2 is available. Based on 23 Deadpool 2 reviews, Deadpool 2 gets an average review score of 69. At two hours in length, “Deadpool 2” almost overstays its welcome, but wraps up quickly, save for one joke the team beats to death, and yet, it’s still funny. Marvel's foul-mouthed antihero learns to play well with others (sorta) in a sequel from 'Atomic Blonde' director David Leitch. Although it runs short on plot, Deadpool 2 delivers a sequel that's crasser, gorier, and funnier than its predecessor. The action has definitely been ratcheted up, thanks to Leitch’s involvement, with finely tuned chase scenes, fight scenes, and surprise characters wreaking CGI havoc. Director David Leitch rebounds from the ditchwater dull Atomic Blonde with all the fourth-wall busting excitement this franchise demands. Sharper, grosser, and funnier overall than its 2016 predecessor, "Deadpool 2" throws everything against the wall, rarely concerned with how much sticks. Ryan Reynolds returns in the title role of Wade Wilson, aka Deadpool, in "Deadpool 2," a bleak and wrenching psychodrama that's sure to confuse and infuriate fans of the original. It climaxes with a clever workaround of the superhero blockbuster's overreliance on apocalyptic finales. Ryan Reynolds returns to the role that made him a surprise action star.